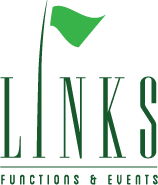 Links Functions and Events is the perfect Christchurch venue for inspiring team building and forging lasting business relationships. We offer world class amenities, state of the art conference facilities, full onsite bar, and a high standard of catering and professional service, ensuring your event runs smoothly and is truly unforgettable. From small business meetings to large corporate functions, seminars, product launches or workshops, we have a space to suit your requirements. The ground floor has wall to ceiling windows overlooking the golf course, allowing natural light to flood in. This space is suitable for up to 200 delegates or can be divided into 3 separate rooms; Meeting room, Dining room and Clubroom by the use of tastefully designed wooden sliding room dividers to suit smaller groups. The Meeting Room has floor to ceiling windows and French doors leading out to a private veranda. Integrated overhead projector, blackout curtains, surround sound speakers and individual temperature control makes this room ideal for your next business gathering or private event. The Dining Room has floor to ceiling windows and French doors leading to a private veranda with views onto the 18th green. HD flat screen TV and surround sound speakers can be integrated into the venue’s AV system or used individually. Windows have both blackout and privacy curtains and the room is independently temperature controlled. With full bar access and its open and bright feel this room is ideal for team building, networking, cocktail events and private dinner parties. The Clubroom is the most dramatic of the rooms with its vaulted ceiling, floor to ceiling windows at one end and solid granite bar with changeable LED lighting options at the other. This room is sure to impress your guests. Remote controlled blinds provide shade on sunny days whilst independent temperature control provides comfort. The room also has HD flat screen TV and surround sound speakers that can be integrated into the AV system or controlled individually. Café and Bar is available for private hire from 6pm onward. This room has 3 HD flat screen TV’s and an integrated AV system. French doors open out on to the veranda. The private and peaceful ambiance of the Café and Bar, make this an ideal location for your next business catch ups or small casual meetings. Please call ahead to reserve a suitable table. The Charles Gallery is a small private room beautifully furnished and can cater for private business meetings or special events for a more intimate gathering. In house catering is provided by our talented executive chef, ranging from corporate breakfasts, buffets, working lunches through to cocktail parties and gala dinners. For other catering options please contact our front of house manager Karyn Yorston on 021 247 1022.